Lisa Nicole Bell believes that when you invest in a girl, you invest in the world. I believe the same thing. Have you ever thought about what you’d say if you had the chance to sit in a room with the teenage version of yourself? I was asked to write a letter to my teenage self for a new book entitled The Legacy Letters. 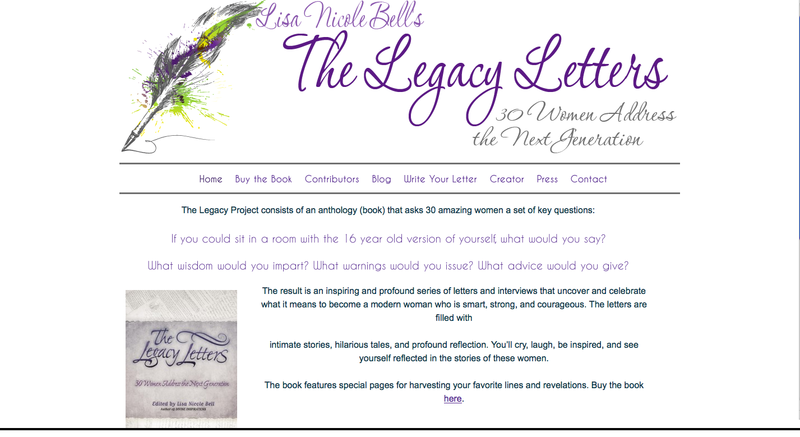 I’m writing to share exciting news about The Legacy Letters – an anthology I contributed to with 29 other amazing women. I wrote a letter to my teenage self sharing the wisdom, insight, and experience I’ve gained as a woman. The book is ready for pre-order and you can reserve your copy of the book at www.fromherpen.com today for just $9.99 and take advantage of the special bonuses. All of the proceeds will go to empowering girls and women in the United States and abroad! I invite you to visit the site and share YOUR letter with girls and women all over the world! Also, if you know someone who would appreciate the inspiration and wisdom from women, please forward this to them and tell them to get plugged in and share their letter at the site!